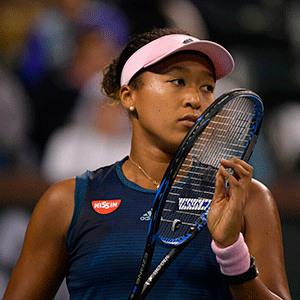 Miami - World No 1 Naomi Osaka refused on Wednesday to become embroiled in a dispute with one of her former coaches who is suing her for 20 percent of her career earnings. "Beating Serena Williams in Miami last year was such a good memory - the first time I had played her - and I came straight off winning Indian Wells. I just wanted to test myself against her and from then on it felt like a dream. A 13 800-seat main court - where former world number one Victoria Azarenka defeated Dominika Cibulkova 6-2, 3-6, 6-4 - has been created while 10 other courts have been built atop parking lots. "We actually drove past it a lot when I was a kid. There's a lot space here, which is good." "I didn't even know where this place was," Stephens said. "When I drove here this morning, I drove to the Hard Rock Hotel.